We make sure your marketing tech delivers more leads to your sales team. We make it simpler to get leads and sales. The Kingdom are digital sales experts. We are a HubSpot specialist and help you get more bang for your sales and marketing bucks. You shouldn't have to know how digital marketing works, you just want it done. We get it done for your business, giving you more time to create the ideas, execute the plans and surpass the targets you need for success to get the sales leads you need. We are HubSpot experts developing digital lead generation investment. Do you need help with HubSpot? Would you like to have the best sales lead generating website that makes you the envy of your competition? We build sales focussed websites making the most of the extensive features available in the modern marketing-technology platforms. Our goal is to make it easier to deliver quality leads to your sales team. Shouldn't you have an easy to operate website that looks amazing, but is still easy to quickly update? Time for an income making new Mobile friendly website with built-in marketing automation? Are you embarrassed by your current website? Is it stopping your business from getting invited to quote the deals you want? We guide you to getting a world class website with a simple 7 Step Plan, that will make your website the envy of your industry. We build online stores that look stylish and convert. Are you looking for a Shopify partner or Ecwid expert to build you a superb eCommerce site? Ought you have a store that is simple to update and can take advantage of the latest online trading features? Would you like your company to have the features you enjoy, whilst online shopping? Our team of e-tail specialists can help your business get a dynamic presence online. 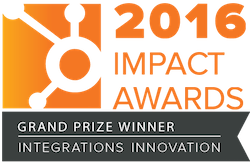 We are the 2015 HubSpot International Partner of The Year, and experts in making HubSpot work for you. We help you get better results from your HubSpot investment. Are you looking for an advanced HubSpot Partner that is expert in deploying your digital economy? We help you connect your existing apps and IT infrastructure to HubSpot. If you want to connect your website, sales, CRM, accounting or job management programs to HubSpot, we can help. HubSpot vs Wordpress, which is better? Find out the differences with our free comparison download. Considering if you should change to HubSpot? We guide you through the different choices. Which version of HubSpot is right for you? Want More ROI From Your Digital Marketing? We make digital marketing easier for your business. Get more return on your investment, quicker. We help companies challenged by the increased need for tech skills in marketing. We give you the freedom to run your business while we get the leads flowing with a digital marketing attack on your market. Power up your sales revenue with integrating eCommerce solutions. Do you need help getting your business selling online? We are experts at connecting the HubSpot eCommerce Bridge with all eCommerce platforms. As Shopify and Ecwid eCommerce partners we can get the store you want, with the sales you need quickly. We make your advertising spend more effective by creating targeted audiences using Facebook and Google. It takes time and knowledge to get the most out of the digital ad platforms. Need assistance with Facebook Remarketing? Want organic reach but not sure how to get it? We ensure your time is not wasted and our experience gets your message in front of the right people, more often. Hourly rates, to year-long retainers, we make it easy for you. To provide you with maximum purchasing flexibility, we provide three different billing methods. Suitable for occasional work, we bill by the hour. This is a quick and easy way to get started with us. We quote the job with an estimate then perform the work to this estimate. A monthly number of hours over a 3, 6 or 12 month period. This is perfect for businesses looking for a long-term strategy.